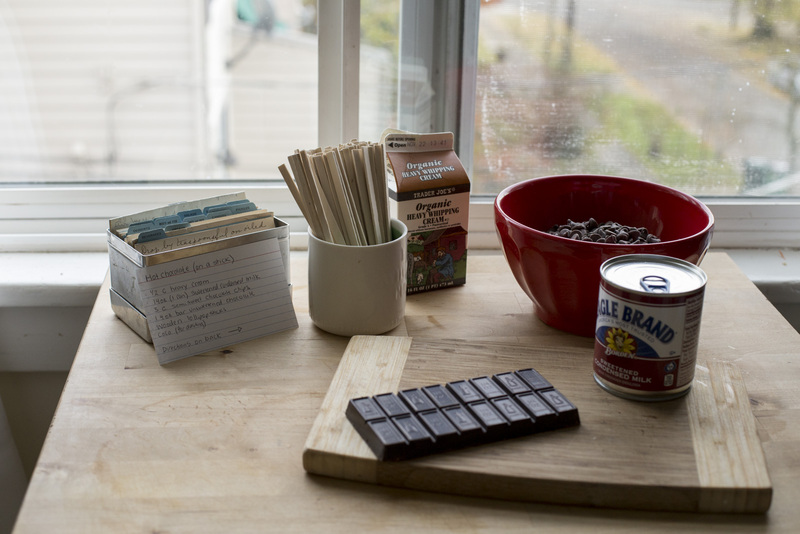 This hot chocolate is rich, yummy, and creates a fun experience as you make your personal cup of hot chocolate. Pinterest is a lovely place around this time of year. 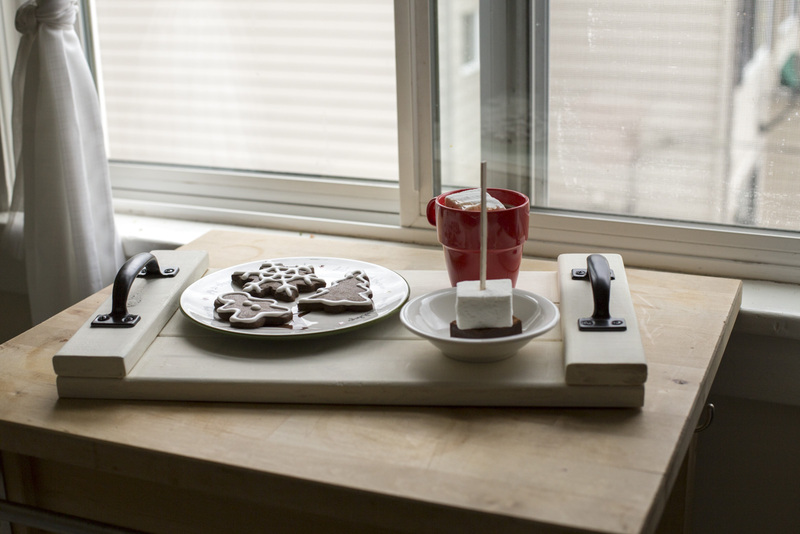 Filled with decorations, gift ideas, and all things holiday-food-related, it is there that we found this fun recipe for today's post. 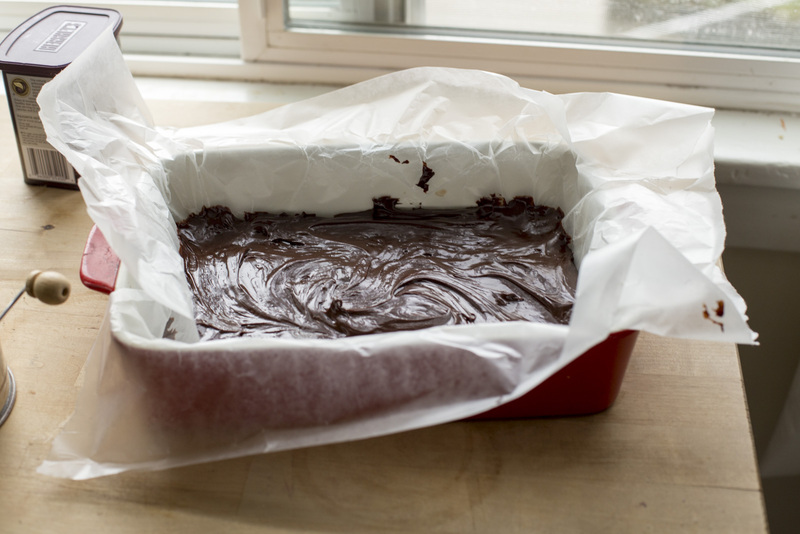 Before you get started, take a minute to line your 8"x8" pan with wax paper—you'll soon be dealing with sticky, melty chocolate, and this will save you a lot a mess in a few minutes. 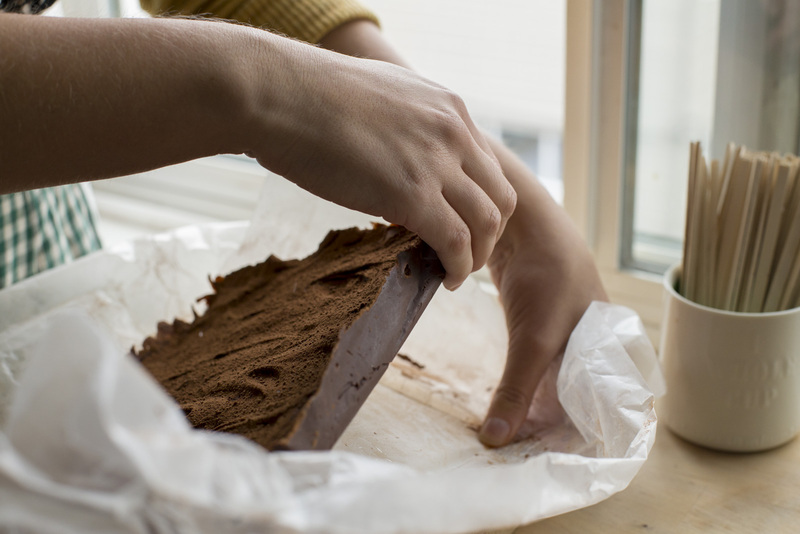 Now it's time for the chocolate. 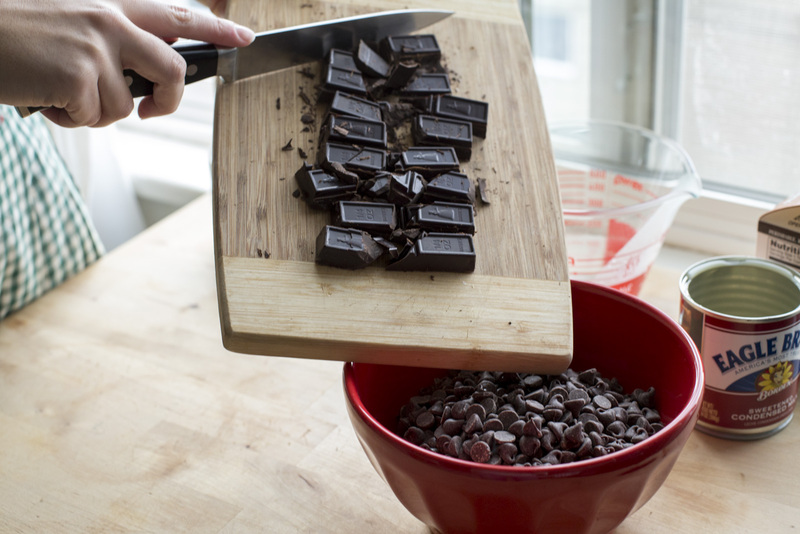 Cut the baking chocolate into rough squares and combine it with the chocolate chips. 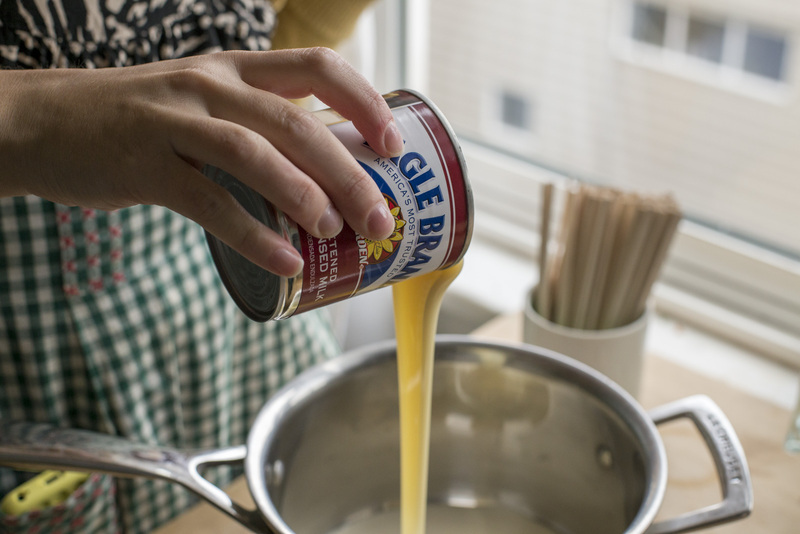 Now, measure the heavy cream and condensed milk and pour them into the saucepan. Place the saucepan on the stovetop and heat over a medium-low heat. The mixture is ready when it begins to steam. 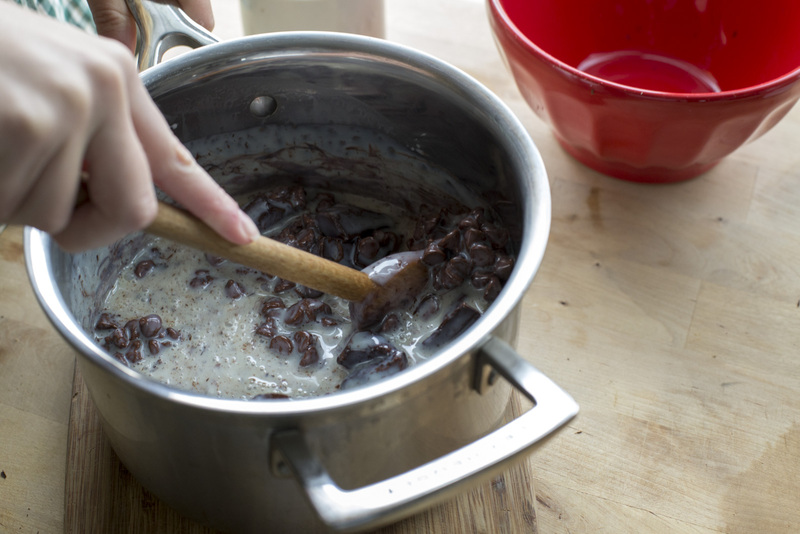 Once the mixture is steaming, remove it from the stovetop and stir in the chocolate. Let the mixture sit for 10 minutes. 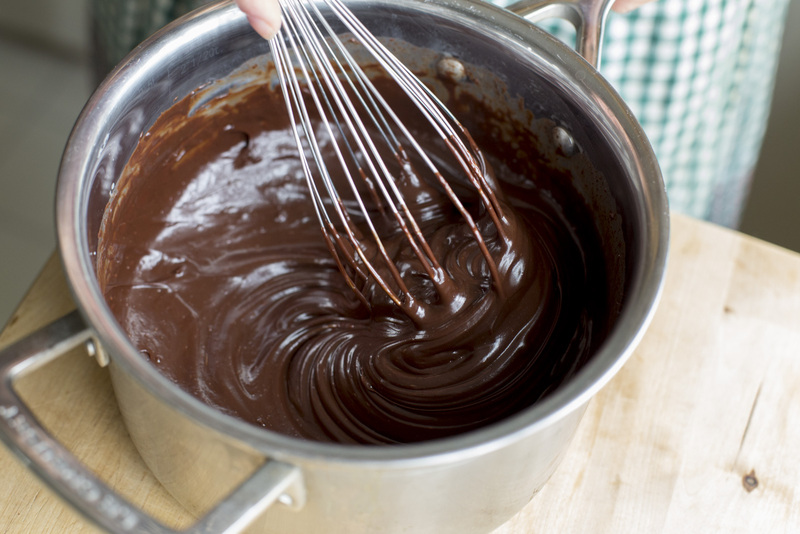 After 10 minutes, return the saucepan to the stove top and whisk the chocolate mixture until it becomes smooth and shiny. 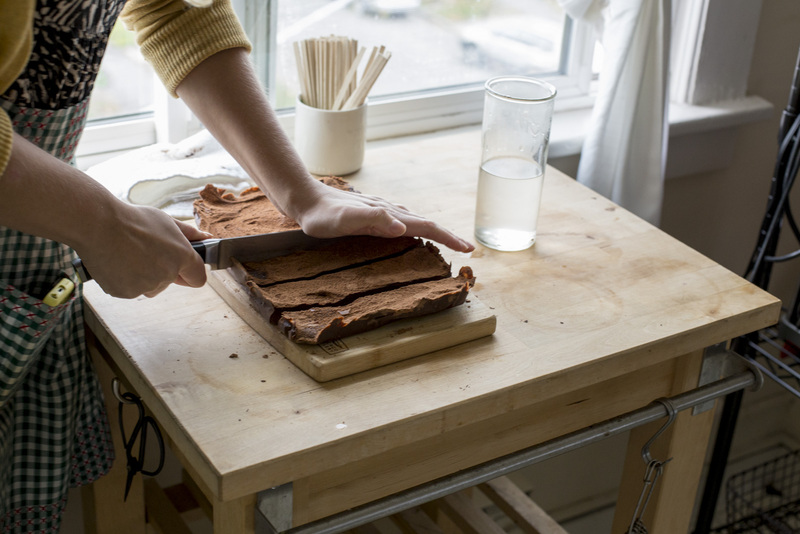 Once you've made the cut, push a wooden stir stick into each piece. 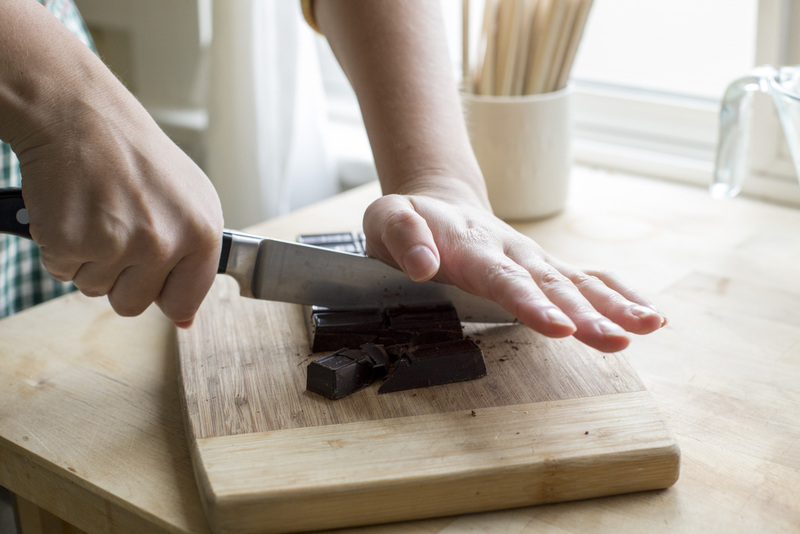 At this point your chocolate is ready to go. 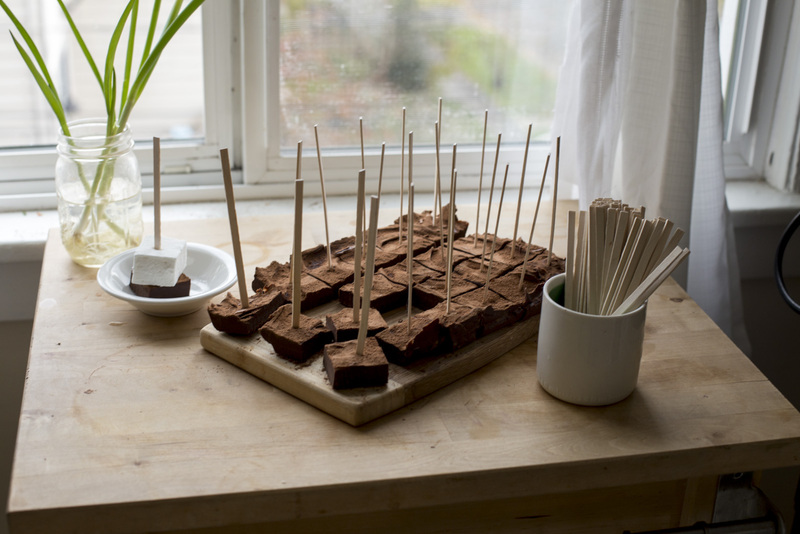 These hot cocoa sticks will last at room temperature for two weeks in an airtight container. 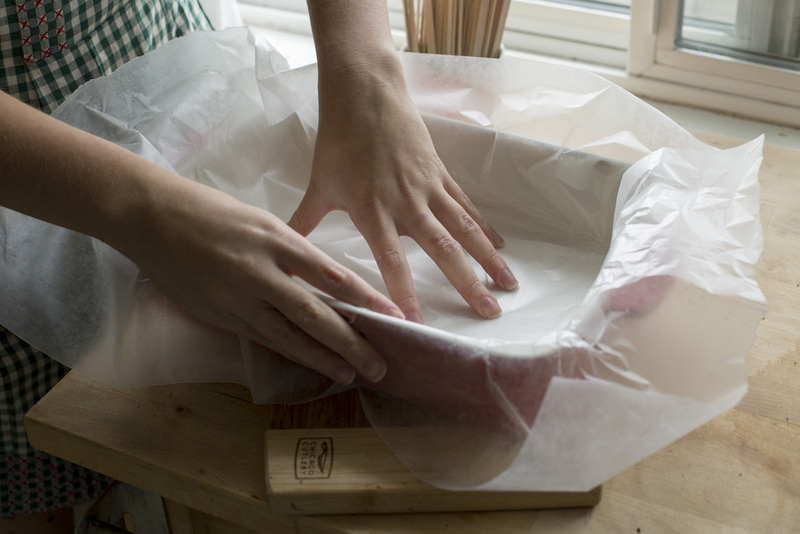 If you'd like to save them for longer, they'll keep for up to 30 days in the freezer. 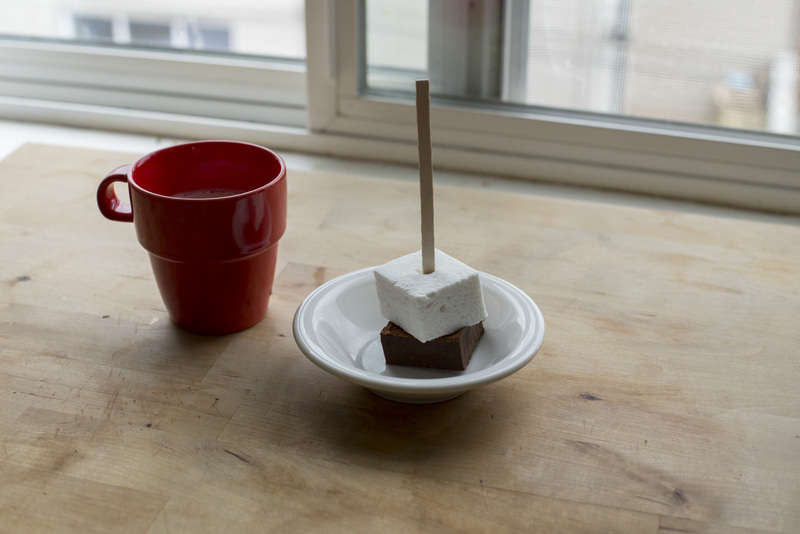 We suggest pairing these tasty treats with Dunn DIY's yummy marshmallow recipe. 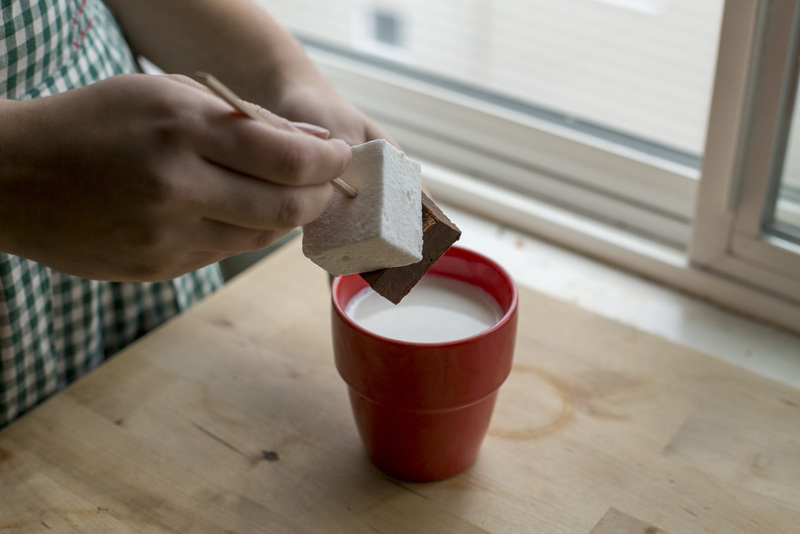 To make your hot chocolate warm a cup of milk (per serving). Don't bring the milk to boil, as you don't want it to scald. 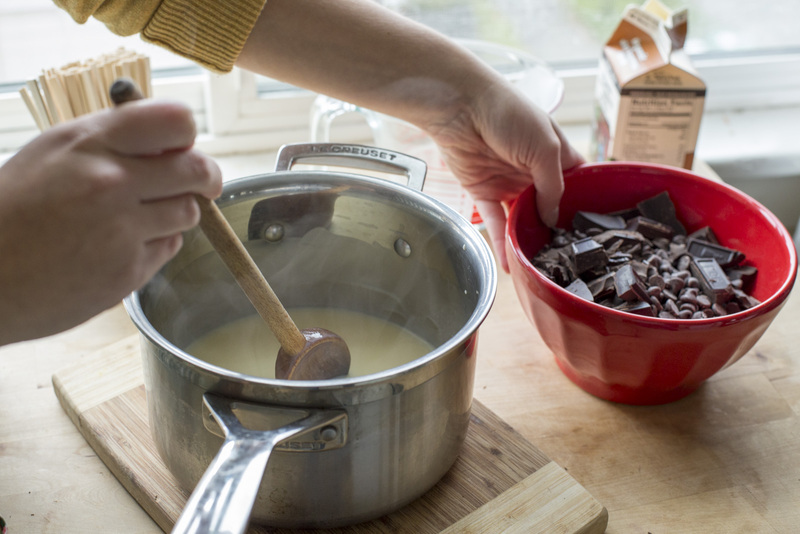 Once the milk is hot, add the chocolate stick and stir until melted. Headboards add a lot to a bedroom—they become a subtle centerpiece and help frame the walls and decorations. Most importantly, headboards keep your pillows from falling behind your bed. Cedar is a gorgeous wood, so we experimented with it as a headboard. We adore the results, and think you will too!